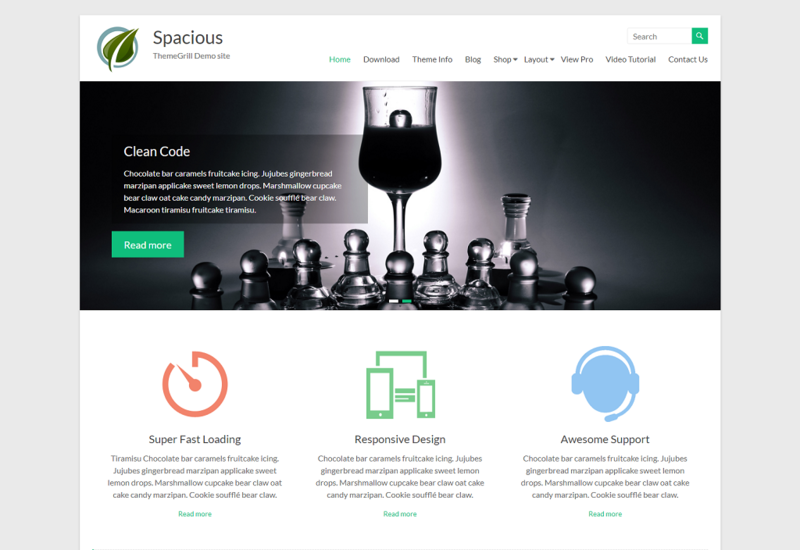 Spacious is a beautiful, responsive, multipurpose and highly creative free wordpress theme. Spacious is allows to create any kind of website like business, portfolio, blogging etc. 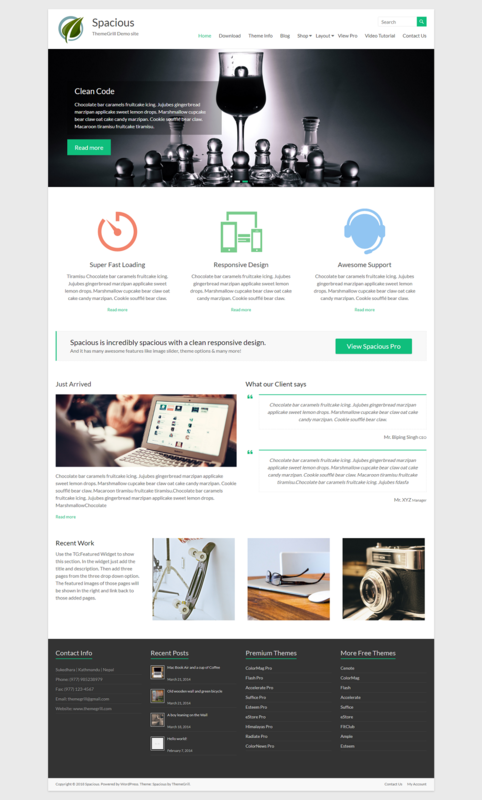 It has 4 page layouts, 2 page templates, 4 blog display types, 13 widgets areas, 5 custom widgets focusing on business template, awesome slider, primary color option to match your logo & website, boxed & wide layout, light & dark color skin, translation ready and so many more.